One of the greatest obstacles for people who want to go deeper into personal development is lack of time. 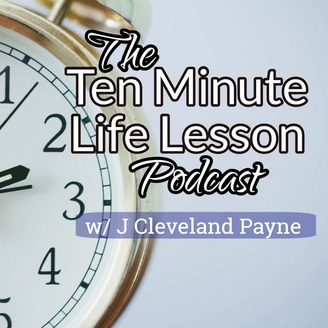 J Cleveland Payne tries to negate that obstacle with the Ten Minute Life Lesson podcast, offering a complete and actionable lesson in personal development in ten minutes or less. 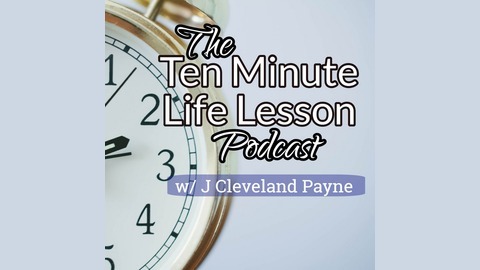 Come out of the work week with a new lesson, as the podcast drops every Friday in your podcast feed or the website yourbetteryou.info. The stories we tell to ourselves can either empower us or tear us apart image by image. If you have a problem with telling yourself long, complicated stories that don’t motivate you to improve, try telling yourself shorter stories with just the important details, not the overdramatic extras.